If you could increase your business up to 20% by doing one simple thing, would you do it? Inclusion has become one of the major values in modern society. We provide drivers tests in multiple languages. There are buttons to automatically open doors. We even provide pet life insurance. Yet, there’s a very important accommodation many businesses are neglecting. The US Census (census.gov) is an analysis of our population of over 300 million, and it gives statistics on different ethnic and minority groups to help us better understand the needs of our citizens. There is one group whose percentage of the population eclipses any “minority” group in the US, yet seldom are accommodations available for their needs. Not only that, this particular demographic will typically embrace any businesses who would include one simple and relatively inexpensive need. Did you know that 1 in 5 people worldwide suffers from measurable hearing loss? 1 in 5. That’s 20%. Compare that to the approximately 0.17% of the population who have impaired mobility. Additionally, the needs of the hard-of-hearing are covered by Federal Law under the Americans with Disabilities Act. Fortunately, there is an easy and relatively inexpensive way to include your customers with hearing loss. By law, any venue in which audio amplification is integral to the use of the space, assistive listening MUST be provided. That means if you are a convention center, sports arena, movie theater, or any public space that uses a public address system you need to provide assistive listening devices. The most common assistive listening systems use either radio frequency (RF) or infrared (IR) to broadcast audio to a receiver that your customer checks out during their visit. And although required by law for many venues, it can be cumbersome to use–no one knows where to check out receivers, and when they do find them, the receivers don’t work or have broken headsets. A better, more inclusive system lets your customer decide how they utilize your assistive listening system. Modern hearing aids can pair to smartphones via Bluetooth allowing hard-of-hearing customers to listen to audio through their own phones. What if you could deliver your own, custom audio content directly to them, on a device they already have in hand? Enter Listen Technologies’ Combo Compliance Systems. Combo Compliance systems include the federally mandated assistive listening solution of your choice, whether it’s RF, IR, or Hearing Loop, and combines it with a powerful WiFi system that streams audio directly to a person’s smartphone via a free app that you customize, and they download. Now, you can not only satisfy ADA assistive listening requirements, you can enhance your customer experience by providing high-quality audio content streamed directly to your customer anywhere in your business. And with approximately 2.5 billion smartphones in use today, you get a tremendous return on investment. Combo Compliance systems are easy to install, and the WiFi servers can be connected to your existing wireless network by your own IT professional. With Listen Technologies’ Combo Compliance systems in place, you are actively inviting 1 in 5 people, 20% of the population, into your business with a simple and inexpensive solution. Contact one of our assistive listening experts today at 1.800.330.0891. Even though many countries have laws in place for mandatory assistive listening compliance, public awareness of these laws is inadequate. Many venues throughout the world still lack adequate systems to help the many people who have hearing loss. 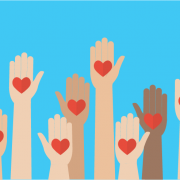 Here are some things you can do to build awareness and be an advocate. There are many groups leading the charge to increase awareness, but they need your help. The Hearing Loss Association of America has a chapter in virtually every state and some states have several chapters. Find one in your area and get involved. They have incredible people and resources available to you. There are worldwide organizations, as well. If you go to a venue where a public address (PA) system is being used, ask the facilities manager for an assistive listening device. 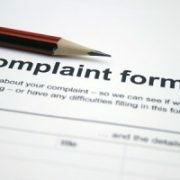 If they don’t have one, make note of the facility’s address and fill out a complaint form. It’s only one page and only takes a minute. Here’s what can happen when people speak up. Take some time to study your rights under the ADA. Knowledge is power, and being armed with information on your rights goes a long way, even if you only use it in casual conversation. It increases awareness; if people aren’t aware of a problem it can’t be fixed. The biggest difference you can make is to speak up, don’t sit in silence, because you don’t have to. 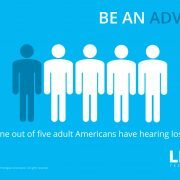 Be an advocate for yourself or for others who have hearing loss. We live in a noisy world, with sounds that affect hearing all around us: traffic, machinery, and noisy groups of people. Then there’s the damage we do to our ears when we plug in headphones and jam to catchy tunes. Our hearing is delicate and all this noise takes a toll. It’s no wonder that approximately 48 million people experience hearing loss in the U.S., making it one of the most prevalent health issues in the nation. You don’t have to accept that you’ll lose your hearing. Here are four tips to safeguard your ears. Never treat hearing loss lightly. A blocked ear or an earache may be a sign of an infection. If you leave an ear infection untreated, it may result in permanent hearing loss. Any ringing in your ears that lasts longer than a short period of time is also a sign of hearing loss. Exposure to loud sounds will damage hearing. The hair cells in your ears turn sound into signals sent to the brain. If the noise is too loud, it damages the hairs, which never grow back. The National Institutes of Health say consistent exposure to sounds higher than 85 decibels can hurt hearing. 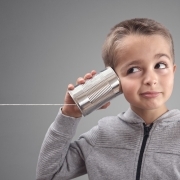 The average conversation is 60 decibels, so 85 isn’t earth-shakingly loud. In fact, it’s about the same as heavy traffic in a city. So, what’s louder than 85 decibels? If you’re using your earbuds at the maximum sound level, you’re probably pumping 105 decibels into your ears—doing severe and permanent damage. Guns and firecrackers hit 150 decibels, a police or fire siren is 120 decibels, and a motorcycle is 95 decibels. Since you can’t stay at home all day in the sound of silence, what can you do to protect your ears? Turn down the sound: One thing my mom taught me was to turn the volume down to zero then slowing turn it up, making lower volumes sound louder. Limit exposure to loud sounds and machinery. There are many people whose livelihoods depend on working with or around loud machines. Others live near noisy highways and relocating isn’t an option. If you can’t entirely avoid loud sounds, try wearing protective devices. Ear plugs, noise-canceling headphones, and ear muffs will protect your hearing. Pretty much everyone these days owns a smartphone. Listening to music, podcasts, books, and more via earbuds can be motivating or relaxing, but remember, it can damage your ear. Consider taking short breaks from the sound. When you’re using your headphones or earbuds, take regular 15-minute breaks. Millions of people around the U.S. and world live with hearing impairment. Health problems, medications, and the noise all around us lead to that hearing loss. To protect your hearing, talk to your doctor, turn down the noise, use protection and give your ears a break. Factory tours are an ideal way to show investors, VIPs, the community and others the value of your business. Noise in factories and plants is a significant issue. Every year, 22 million people are exposed to noise at work that’s so loud it can potentially cause permanent hearing loss. The Occupational Health and Safety Administration estimates $242 million is spent each year on workers’ compensation due to hearing loss. In 2017, OSHA fined businesses more than $1.5 million for not adequately protecting employees from noise. Hearing protection is essential for everyone on the manufacturing floor, even those on factory tours. So how can you adequately protect your guests’ hearing while showing off your facility? Loud noises can be dangerous. They can cause hearing loss—temporary or permanent. However, the extent of the damage is determined by the length of exposure and the noise level. Experts say noises above 85 decibels can cause permanent hearing damage. For example, a conversation usually is around 60 decibels. An idling bulldozer hits 85 decibels. Loud noises damage or destroy hearing, but how? Inside the inner ear is the organ of Corti, which is responsible for hearing. It reacts when its microscopic hair cells are activated, ultimately stimulating the nerves for hearing, which carry sound to the brain. The frequency of the sound determines which and how many hair cells are activated. When you listen to loud noises, you can damage or break the hair cells. That, in turn, hurts your hearing. When you’re hosting important people on factory tours, they need to be able to hear you. It’s also helpful if you can listen to them. However, you don’t want to take any chances with their hearing. ListenTALK is the solution you need. This easy-to-use communication system is wireless and portable, and you determine what kind of headset to use. If you’re on a noisy factory floor, you can choose headphones that offer added ear protection. What makes it even better is the sensitive internal mic. Even on a noisy factory floor, you don’t need to hold it up to your mouth. All you need to do is wear it around your neck on a lanyard and push the talk button to speak. Plus, the tour leader unit isn’t the only one with a mic. 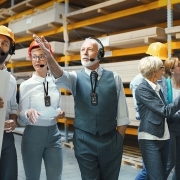 Everyone on factory tours can talk to the leader and each other, for guaranteed clear two-way communication. It’s also lightweight, and guests can attach it to their belts or purses with a clip, or use a lanyard. Because loud noises can permanently damage hearing, it’s important not to neglect hearing protection for everyone on your factory floor. That includes your guests on VIP factory tours. ListenTALK will help protect everyone’s hearing, while also providing crystal-clear communication. Are you ready to try a unit? For the more than 360 million people worldwide who suffer moderate to profound hearing loss, venues must create a listening experience that is equal to that available to the general public. It’s not only the right way to accommodate hearing-impaired parishioners, patrons, and customers—it’s the law. Today we’re seeing public demand for listening solutions that extend beyond the traditional assistive listening market. Wi-Fi-based personal listening solutions, while delivering excellent sound quality, are designed for the convenience of the venue—owners and managers no longer need to purchase and maintain devices. Instead, users download an iPhone or Android app to their smartphone and then select the audio channel that corresponds with the video they want to watch in a multi-display setting. How does that work? Let’s take a quick look at the best applications for Wi-Fi-based solutions and then discuss when they make a great addition to your assistive listening solution. Higher education, particularly in student unions, where multiple televisions are available and the student wants to select the audio channel for listening. Corporate fitness centers or lobbies with video walls. Employees or visitors choose the audio channel for the video they want to watch. Museums with multiple video displays throughout the exhibit. Visitors can select the audio channel that corresponds with the video that piques their interest. When you need to provide both hearing and hearing impaired audiences with audio options, adding a Wi-Fi personal listening solution to a venue with an existing ALS can be a cost-effective approach. For example, a theater may offer a movie in multiple languages. As a theater, the venue is required to provide an assistive listening device to any hearing-impaired person. The ALS device provides equal access to the movie audio, but what about translations for the general public? Purchasing transmitters and receivers for the full audience that doesn’t need a device for assistive listening is quite an investment. But adding a Wi-Fi-based solution gives the ability to access different audio channels to anyone with an iPhone or Android device. This cost-effective strategy allows the venue to remain fully compliant and provides options that create exceptional—and equal—experiences for all moviegoers. To learn more about ALS and Wi-Fi solutions and to determine which is appropriate for your venue, please contact us at [email protected] or by phone at +1.801.233.8992 or 1.800.330.0891 (toll-free in USA & Canada). There are many groups leading the charge to increased awareness, but they need your help. The Hearing Loss Association of America has a chapter in virtually every state and some states have several chapters. Find one in your area and get involved. They have incredible people and resources available to you. There are worldwide organizations, as well. In closing, the biggest difference you can make is to speak up, don’t sit in silence, because you don’t have to. Be an advocate for yourself or for others who have hearing loss. I was at a meeting recently where a frequent flyer mentioned that when he books his flights online, he’s able to make a note in the special services section that he has hearing loss. Although, good-natured about it, this man has a pretty good point. Most people when they think of a disability or the ADA equate it with being in a wheelchair, even though far more people have hearing loss than any other disability. Hearing loss is the number one disability in America. It is estimated that around 20% of Americans have some degree of hearing loss—to compare, those in wheelchairs are around 1.7%—yet, when the Americans with Disabilities Act is mentioned, most people associate it with those we see in a wheelchair because we can immediately understand and empathize with their struggle. When we meet people with hearing loss, however, we tend not to have the same amount of empathy, or we have none at all. We are very quick to notice when a venue doesn’t proper wheelchair access, yet venues that are in violation of the ADA to offer assistive listening devices go unchecked on a regular and frequent basis. A man in need of an assistive listening device at the airport should be offered an assistive listening device, not a wheelchair. Can you imagine what would happen if the situation was reversed? What if a man in need of a wheelchair wasn’t accommodated with what he needed? I’m delighted to see that the Department of Justice is making it easier to file complaints online for violations of the ADA. Visit our ADA Info page for more information. It’s the law! Providing assistive listening to people with hearing loss in public spaces and venues is mandated by the Americans with Disabilities Act (ADA). It’s the right thing to do! Assistive listening systems help people with hearing loss feel more connected to their communities and live fuller, richer lives. It’s good for business! People with hearing loss make up a signification percentage of the worldwide population; according to the Hearing Loss Association of America, about 20% of American adults report some degree of hearing loss. Providing people with what they need creates the opportunity to reach a wider audience, thus increasing loyalty and business. There could be some $$$ in it for you! Some business may be able to receive a tax benefit for providing assistive listening to people with hearing loss. Check out tax form 8826 for more information. You won’t get penalized! Did you know that are legal ramifications and penalties if you don’t comply with the assistive listening requirements outlined in the ADA. 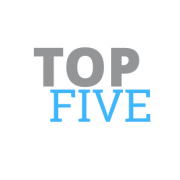 On March 28, 2014, the Department of Justice issued a Final Rule that adjusts civil penalties available under title III of the ADA ranging from $55,000 to $150,000. To put it simply, everyone has the right to hear what they love. I am obviously not the only one who feels this way. In an effort to spread more awareness about assistive listening, many groups are working to get bills passed in certain states that require audiologists to inform every patient about the availability of hearing aids with a t-coil switch and the benefit of t-coil. Hearing aids are fantastic in many ways and work well in quiet environments and conversations within close proximity. However, they fall short when the hearing aid user walks into a venue. Many of us have a difficult time understanding why. Shouldn’t hearing aids work well in all environments? Hearing aids use their own microphone to pick up sounds, like a conversation. While this works well when the distance between the sound and the hearing aid user is in close proximity (3 – 6 feet), it does not work well in venues or public spaces, because the hearing aid user is typically away from the loud speaker and the venue or public space has background, ambient noise. A t-coil or telecoil, is a tiny copper wire found inside most hearing aids that can be used with assistive listening technology to deliver the sound from the venue’s sound system, directly to a person’s hearing aid via the t-coil. Seventy percent of hearing aids are equipped with t-coils and 100% of cochlear implants utilize t-coils. When the t-coil switch is on, the hearing aid user hears the desired sound directly in his or her ear without the unwanted background, ambient noise. The sound hearing aid users hear when their t-coil switches are in use is transmitted via induction loop—room hearing loop or personal neck loop with RF or IR technology. While there was a requirement that venues and public spaces provide assistive listening systems when the original Americans with Disabilities Act (ADA) was signed into law in 1990, there was no requirement that venues or public spaces provide assistive listening systems that worked with people’s existing hearing aids, meaning hearing aids with t-coils. By now you can probably see why involving the audiologist community is necessary. When the ADA went into full effect on March 15, 2012, there were revisions to the requirements that made it mandatory for venues and public spaces to provide assistive listening systems that accommodated and worked with people’s hearing aids. In other words, venues and public spaces are required to have a certain number of assistive listening devices that work with the t-coil in users’ hearing aids. I highly recommend visiting our ADA page for more specific information on the ADA and assistive listening requirements. You can even download a white paper on the subject. In order to spread more awareness about assistive listening and t-coils, hearing loss advocates are working to get bills passed in certain states, or have already gotten bills passed, that require audiologists to inform every patient about the availability of hearing aids with a t-coil switch. These states include: New York, Rhode Island, Arizona, Florida, and now pending in Utah. Many dealers have told me that the assistive listening technology rarely gets used. This is because the people who this technology are simply not aware that it’s available. By educating people, audiologists can help their patients better understand technologies, like assistive listening systems, neck loops, room hearing loops, and how they work with t-coils. 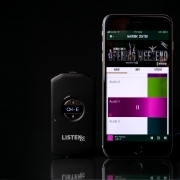 This is an important step in bridging the gap between venues that offer assistive listening technology and those with hearing loss who assistive listening technologies are intended to help. We love it when amazing people come to town, especially when those amazing people talk about something near and dear to our hearts. 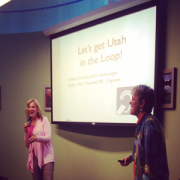 In honor of Better Speech and Hearing Month in May, Loop Utah and the local Utah Chapter of the HLAA have invited Dr. Juliette Sterkens as a special guest speaker. Dr. Sterkens, a National Loop America advocate and an audiologist, will discuss the importance of the installation of hearing loops throughout the United States. She will also touch upon the subjects of advocacy and compliance for those with hearing loss. Listen Technologies is very excited about this event as it supports Hearing Loop awareness, legislative compliance, and, in May each year, Better Speech and Hearing Month. Better Speech and Hearing Month is dedicated to raising more awareness about communication disorders. This year, the focus is on identifying the signs of communication disorders. Get loopy with Loop Utah and support this event, which consists of two sessions. The first session on May 2 is for industry professionals, such as audiologists, architects, and facility managers, while the second session on May 3 is for the general public. If you’re interested in attending, please view the specific information below. All conference rooms are looped.